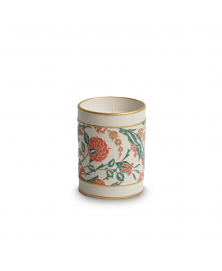 Esma Dereboy brand is named after one of the most striking ceramic artists in Turkey. In 2008, Esma Dereboy created unique artwork with her own technique, which she has developed in her workshop. Her interest in innovation led her to different styles of ceramic production techniques. 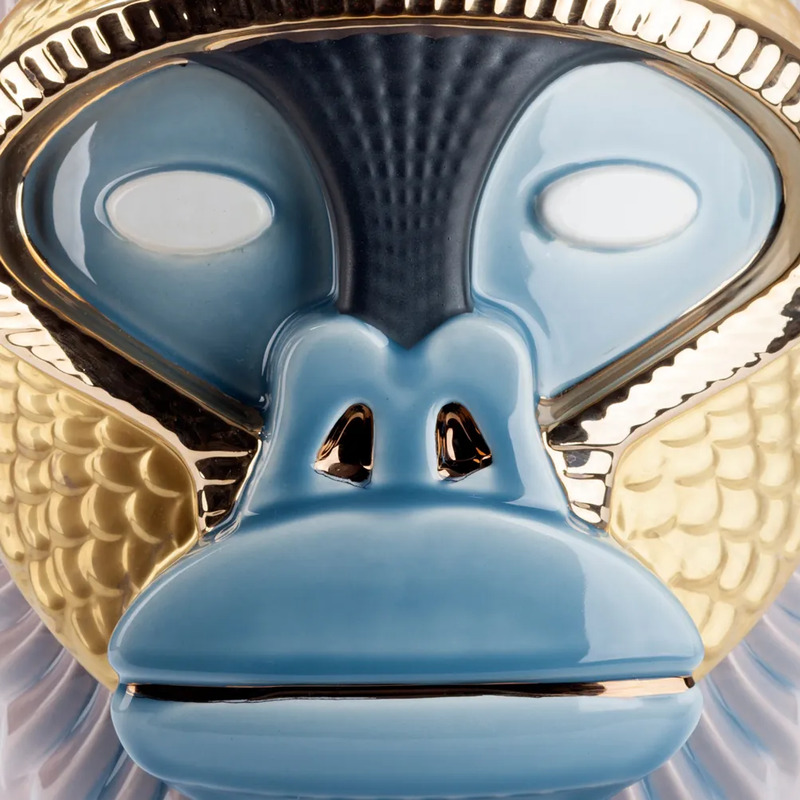 This innovative approach made her the first ceramic embossing and raised pattern designer in her field. In 2018, Esma Dereboy launched her new collection of handmade porcelain tableware at the Maison&Objet Paris fair. Her porcelain products are modern, sustainable tableware range. ​All collections are available in all colors and in all shapes. Every piece is unique and hand-crafted with care and dedication. 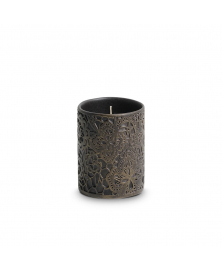 With its gilded details and a floral textured pattern, this elegant candle will add a touch of sophistication to your table setting. 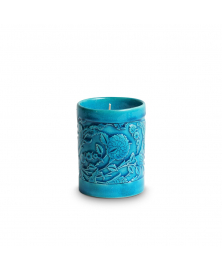 With its strikiing color and textured pattern, this stunning candle will bring the delightful feeling of Mediterranean summer to your table setting. 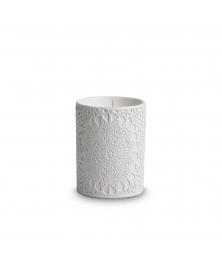 Housed in the white ceramic vessel adorned with a textured lace pattern, this stunning candle will add a touch of serenity and elegance to your space. 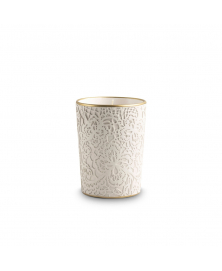 Presented in the off-white ceramic vessel adorned with gold details and a textured pattern, this exquisite candle will add a touch of elegance and sophistication to your space. Timeless elegance and sophistication in one! 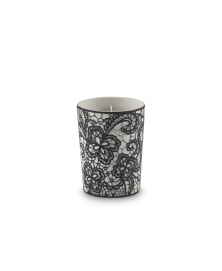 This impeccably handcarfted highly decorative candle features a black and white ceramic vessel with a textured lace pattern.